Wilson ® Tennis Ball Pick Up 75, the perfect tool for managing your tennis balls for the hours spent on the practice court. Fine-tune your game with a stable ball hopper. 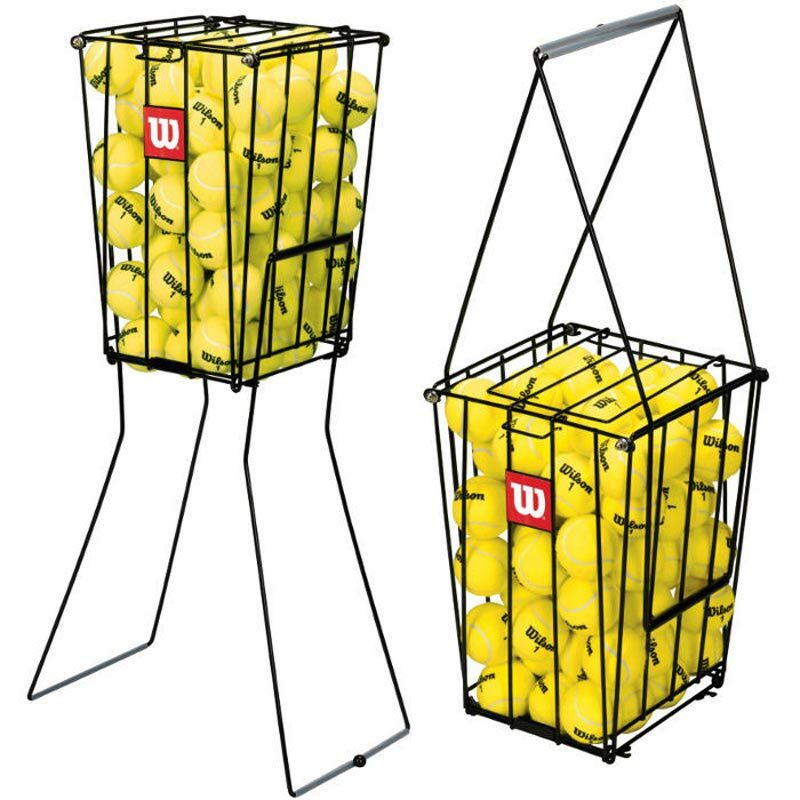 Durable ball hopper that holds up to 75 balls. Handles fold down to create legs that lock in place for stability. No spill lid handles convert to lock-in place legs. Quick, easy assembly with instructions and tool included.